Things are getting a little crazy around here with moving tomorrow and the fact that we might be getting a hurricane here Sunday or Monday! Perfect timing! Hopefully it does not hit us or at most we just get some rain. This is our last "normal" morning in our condo. Which is bittersweet. We have so many great memories here. And this is were we brought Andi home. I was getting a little emotional yesterday while packing up her room! But I am so excited to make new memories in our new house. My parents get here today and we are just so excited to see them. They have not seen and in a couple of months so I am really looking forward to it. Sounds like your moving is going well so far, and I hope that the hurricane will not be so dangerous! Fantastic shirt and clutch! All of your outfits are styled to perfection! 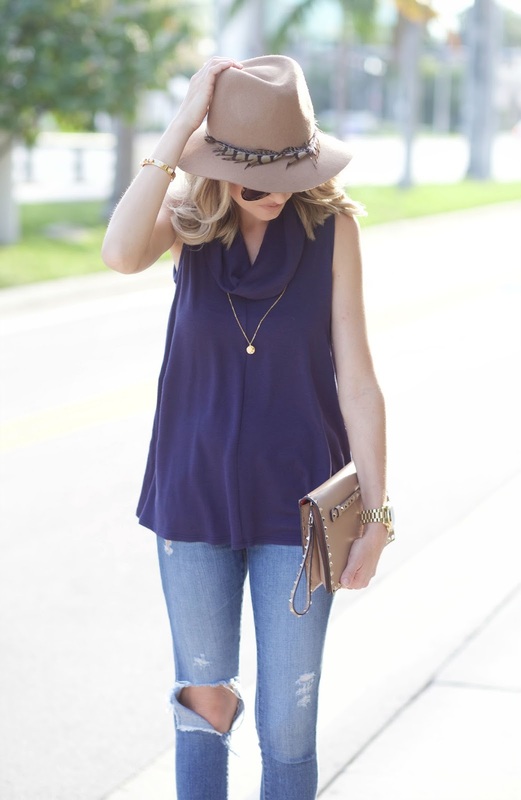 Love that top, but that hat is perfection!! Good luck with your move!! Good Luck on the move Jade! hope all goes well hun and the hurricane doesn't hit! Such a great look. I've seen a few of these tops pop up and I'm thinking about buying myself one! I love this look, especially the hat. Moving is exciting! Hectic, but exciting. Good things ahead, Jade! http://trendkeeper.me .. Back to school beauty GIVEAWAY! Love this look! Hopefully the hurricane doesn't affect your move too much! Love love that outfit! the shirt is so cute. Ugh, what a setback with the hurricane! Hopefully it doesn't come. Great pictures. I really love those shoes, they look great in the red too! This outfit is perfect for the transition into autumn. I love the sweater. 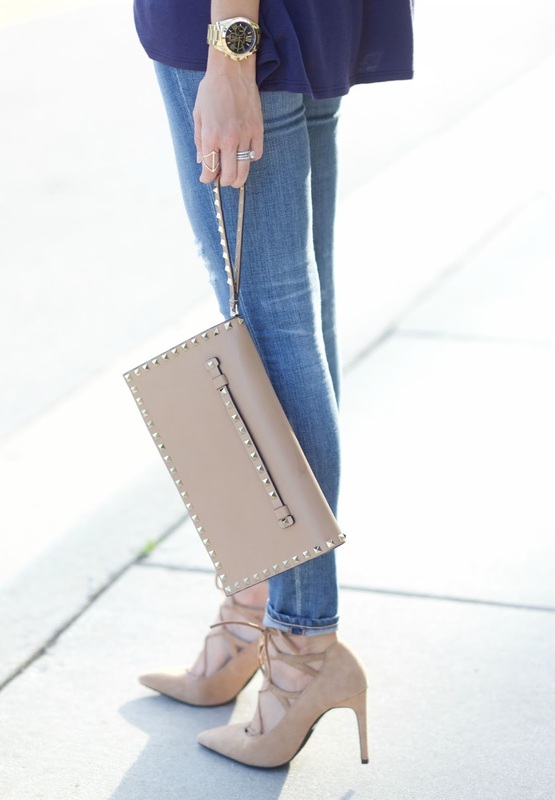 Such a great way to wear fall pieces while the weather is still warm! Hope you have a great weekend! I love that top, it's so cute! Enjoy your new place! I'm sure it will be fine in the storm!